Welcome! I’m Adrianna and health and wellness are my passion. 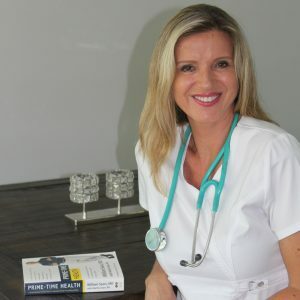 I am a critical care registered nurse and a health coach. I have always practiced and believed in a healthy balance between mind, body, and spirit. As a registed nurse holding an active RN license in a state of Florida, I offer a variety of nursing services. My services include blood work review, medication review, physician referral, and assistance in prevention and management of chronic diseases such as diabetes, heart disease, obesity, cancer, and more. Contact me to learn how easy it can be to avoid nutrition related diseases, improve learning and behavior, relieve stress, control weight, and increase energy levels. There is nothing more important to invest in than your health! I work with my clients one on one or in a group setting and I tailor my services to your needs! Whether you think you can. Or think you can’t. You are right.